Cancer touches all of us. Whether it’s us or someone we love, the trauma of diagnosis and the uncertainty of recovery make us anxious and vulnerable. When it comes to staying clear-headed and present, nothing beats Yoga. Now researchers agree; Yogic techniques can lessen stress, reduce side effects, and prolong survival of cancer patients. • Yoga reduces anxiety, thereby improving emotional and physical health. Stress increases levels of toxic hormones in the bloodstream and puts the body in “fight or flight” mode. It also lowers levels of “feel-good” hormones. Yogic methods, on the other hand, elevates good hormones and lowers bad ones, reversing the harmful effects of stress. • Yoga training improves circulation and floods the organs with a supply of freshly oxygenated blood. In addition to helping the organs work more efficiently, it reduces inflammation by getting rid of stagnant lymph. • Yoga strengthens the immune system, making it easier for cancer patients to battle disease, recover from surgery, and overcome side effects. 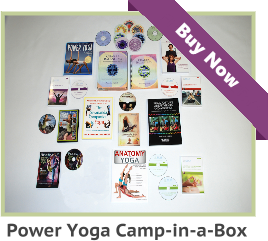 • Asanas restore balance and energy. Patients sleep better and feel they can do something positive to keep their bodies healthy. • Yogic methods lead to a sense of inner peace, quieting the mind and making it easier for patients to make wise decisions and live healthy lifestyles. Yoga means “union” in Sanskrit. It is only fitting that poses, meditation, and breathing techniques work together to produce these benefits. Likewise, the benefits of a Yoga practice overlap. It’s hard to separate the mind, body, and soul; and it’s difficult to separate the immune system, the adrenaline system, and the nervous system. It all works together to promote physical, mental, and spiritual well-being. • It is always a strongly advised to get medical approval before starting a new exercise program, and that includes Restorative Yoga. • Students’ needs vary, especially when they are in recovery. Private lessons may be a good idea, at least in the beginning, to develop an appropriate regimen. • Students should stop at the first sign of nausea or dizziness – or when something doesn’t feel comfortable. Self-trust is critical. Although every student has specific goals and needs, all can benefit from some aspect of Yogic methodology. A well-trained teacher makes that happen. 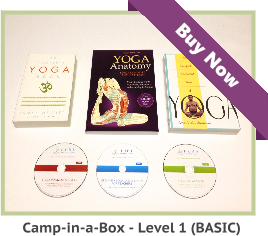 Do you want to become a yoga teacher? 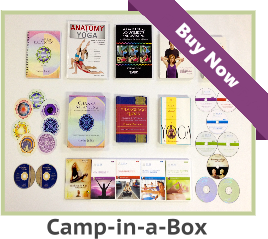 See our selection of affordable 200 hour yoga teacher training intensive courses. Yogic techniques can lessen stress, reduce side effects, and prolong survival of cancer patients. Thank you Faye Martins for writing this helpful article.